Having been selected to represent the 55-59 age group for Team GB at the 2016 ITU Cross World Championships in the Snowy Mountains, Australia in November, I spent all of 2016 focusing on getting myself ready to race and be as fast as I could be. As well as focusing completely on being off-road this involved lots of high intensity sessions, hill repeats and speed work at the track. It was because of the intensity of this focus that my usual annual fundraiser challenge fell by the wayside in 2016. So, after returning from Australia with a 10th place, one of the first goals I set for the ‘new year’ was to make sure that I corrected this and targeted Q3 or Q4 of 2017 to do something BIG. To make it more appealing it would be done as a single stage event e.g. non stop. Something I’d never done before. The only downside was that it was all on the road. Despite, this though I was attracted to the size and audaciousness of the challenge. The only problem was when I tried to register, I discovered that I didn’t meet any of the qualification criteria as all my previous ultra type events were too slow and too long ago. Fortunately, I’m not put off by a lack of experience and find that life’s best lessons are learnt whilst in the “deep end” adapting with being out of our depth. Buoyed by the self belief that I’d done an Ironman as my very first Triathlon, I was able to convince Ng Seow Kong, one of the creators of the race and the founder/owner of Endurance Nature, the event organisers, that I might be mad enough to be able to give this distance and race format a decent go and not be a liability for him or his team. He didn’t roll over like a Puppy Dog though with my sales "pitch". To his credit (and I've come to respect him for many other reasons other than this and the fact that he is probably Malaysia’s most travelled and probably most experienced Ultra Runner) he quiet rightly and sensibly attached a condition to exempt me from the normal entry criteria. 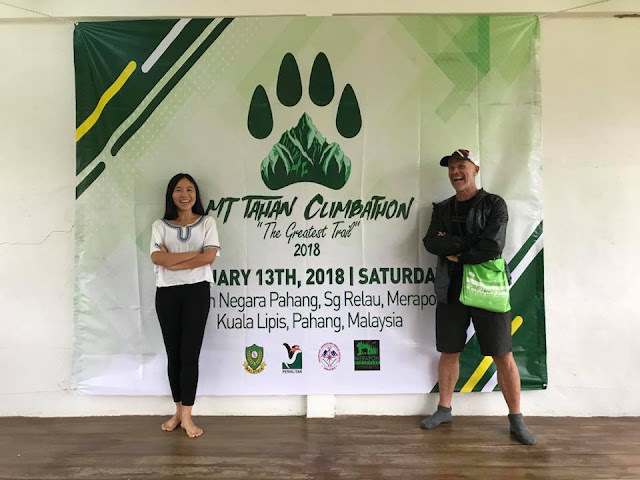 He retorted with a request that I compete at the 12 hours Gunung Nuang Ultra in early February which involves running 10km loops up and down a section of the trail to the summit. Furthermore, he told me he needed me to do 8 loops in the 12 hours which with each loop having an elevation gain of 530 metres, as well as doing 80km I'd have 4,240m of elevation to climb as well. He advised me of this in a way which I knew there was no scope for negotiation. The problem with this was that just like last year I was totally focused on the off-road genre of racing Triathlon as one of my other goals for 2017 was to do a ’season’ of Xterra races in Q2 in which I hoped I could collect enough points to be crowned the Xterra Asia Pacific Tour Age Group Champion for 2017 so that I could retain the title that I’d been fortunate enough to win in 2016. 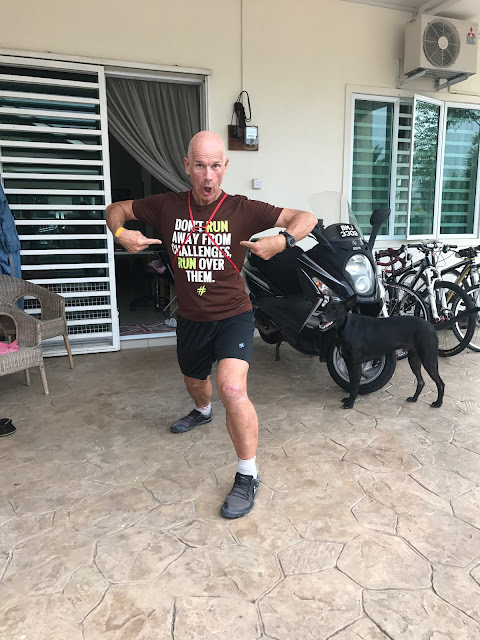 This meant that whilst I arrived at Gunung Nuang on February 4 feeling fit and well I had not run anything further than 10km since November 2015 when I last did an Ironman distance Triathlon. To say I was bit nervous and unprepared, was a serious understatement. However, despite going off a bit too fast. Thanks to the encouragement and camaraderie that exists in the trail running community somehow, with just 21 minutes to spare, I crossed the start finish line for the 9th and final time that day to meet Seow Kong’s criteria. As you'll see from the image above I even managed a smile and as a bonus finished on the podium sneaking 2nd place. On the Monday morning immediately after the Nuang event I paid up my registration and was awarded the dubious honour of being given bib number 1 for the inaugural Coast 2 Coast event scheduled to start on August 26 2017. Almost as immediately, I pushed all thoughts of this race to the back of my mind. As it was time to focus totally on my Xterra racing calendar and my training continued off-road with high intensity bike and run sessions, as I had been doing in January and last year. Before I knew it, I was in Phuket, Thailand for the first of my 4 planned races in my 5 week ‘season’. Despite not feeling great, particularly on the run (thanks to a bit of a head cold and the fact that I’d forgotten the inner soles of my trail shoes), I was able to win my age group and put a ‘tick’ in the first box on my list of race goals. 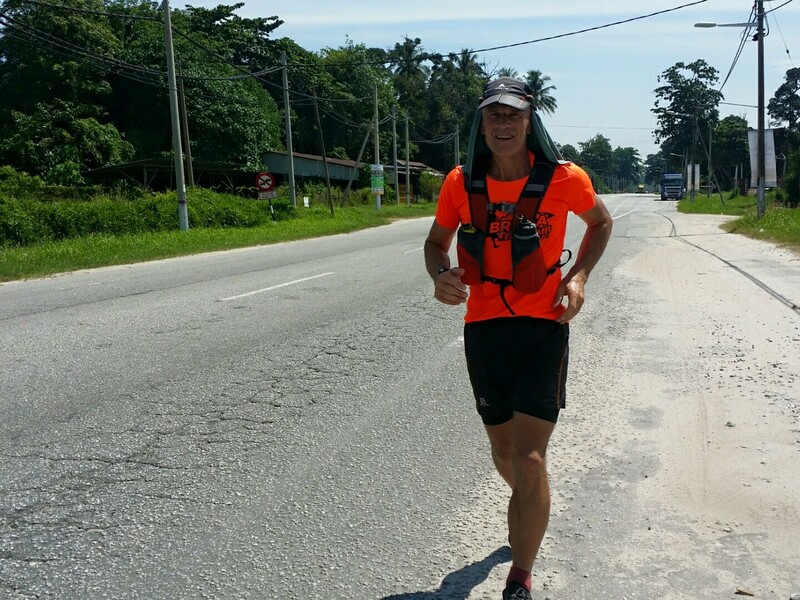 I left the next day to meet Elsa in KL and we both headed for race number 2 in Rotorua, New Zealand. After overnighting with friends in Auckland we headed to the race venue where I had time to recover, relax and recce the course. Sadly this involved watching a lot of rain falling for the initial part of the week of pre-race build up but it was time well spent kicking back and relaxing. Knowing that the field was going to be much deeper and way more experienced thanks to the higher number of Ozzies and local Kiwis that would be in this race, my goal for race number 2 was a Top 10 finish. Thankfully though, I had possibly one of my best ever races and finished 3rd in what was a very competitive field on a fast flowing course that was an absolute delight to race on and which I’m going to try and return to often. 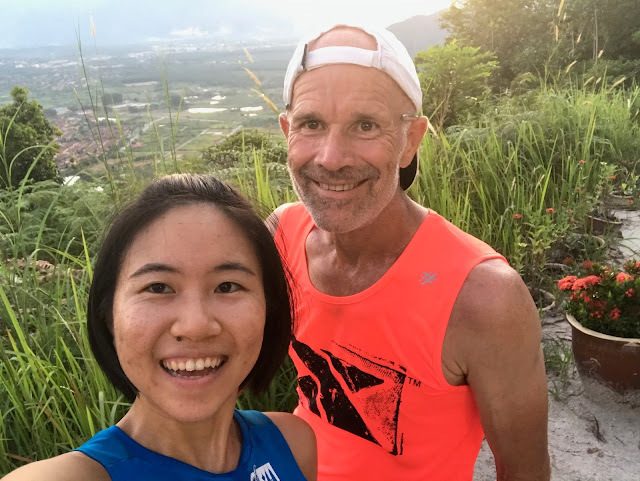 After the race we took a week to recover properly by playing tourists around the spectacular Coromandel coast line of North Island before returning to KL where Elsa headed home and I went to Cebu via Manila, where I had some work to do, for race number 3 of 4. Again, I went into this race feeling really strong and after a great swim (for me) I was flying on the bike and doing really well. I should have taken this as a sign and backed off a bit but the racer in me was racing and in a momentarily lack of concentration I came off line and in the process of correcting this error I over corrected foolishly and wiped out badly. The price I paid was to pick up a pretty serious knee injury courtesy of the ‘razor’ rock that covers much of Cebu which is like a volcanic rock but is actually old dried out coral from when this area was covered by the sea. Thanks to the organisers excellent set up there were medical units out on the course and I was extremely fortunate not to be too far from one of these and got patched up enough to be able finish the race. Thanks to no one else in my age group making the bike cut off which I was able to do (just), I was also extremely fortunate enough to be the only one in my age group to finish. This meant, that despite having a disastrous race, I was still able to pick up maximum points and extend my lead in my age group for the Asia Pacific Tour Championship. After crossing the line I went straight to the medical tent where again thanks to the awesome event organisation there was a General Surgeon and he skilfully cleaned the wound and gave me 24 internal stitches and a eleven external staples in the medical tent (which was more like a hospital operating theatre) along with a prescription for some pain killers and antibiotics. 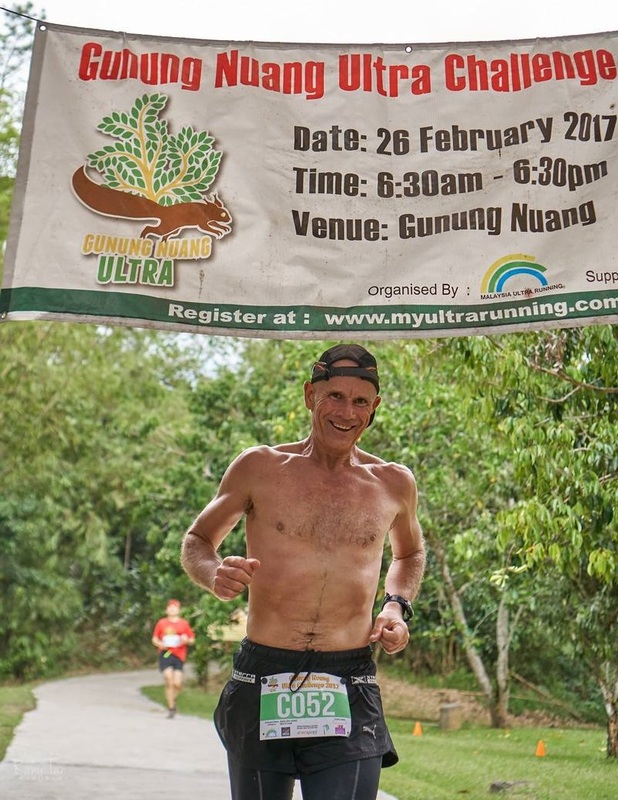 The following weekend was my “A” race, the Xterra Asia Pacific Championships in Langkawi. Having been intimately involved with the race, its course and the terrain for the previous 2.5 years, I was very hopeful of winning my age group here to consolidate my pole position in the points table and potentially making my lead an unassailable one. This was vital as there were races scheduled later in the year that would conclude the Asia Pacific element of the Xterra global tour and I knew that because of the Coast 2 Coast event I would not be racing in these. Sadly, the injury meant I was out of this race. Although, I confess that I was in self denial of this fact right up to the morning of the race, in the insanely stupid belief that I might be able to hobble round and get at least some points. I remain convinced (others may argue - delusional) that this would have been possible (heck, based on the eventual winner’s time for the 55-59 age group I reckon I might have even sneaked the win ;-). However, helped with the very serious scowling and scrunched up faces of my friend’s every time I suggested that possibility, I eventually conceded to being a DNS (Did Not Start) and proved that I can do ‘sensible’! More importantly, than missing this race, it meant, that whilst I was able to get the staples removed after 2.5 weeks, I was now totally immobilised for the next 5 to ensure that a) the wound healed and b) I avoided infecting it which, in this part of the world, would be a big issue. Given the extent of the injury this was a relatively short period of time and I remain very grateful and thankful that it wasn’t longer. Our lifestyles and diets are absolutely critical to maintaining a healthy immune system and thankfully my relative ‘clean’ one was, I believe, a major contributory factor to the speed of my recovery. To make sure that I was as “clean” as possible, I decided to drop all alcohol and committed to stay as ‘dry’ as a desert until after the Coast 2 Coast Fundraiser which was now the sole fitness goal on my horizon for the next 3 months..
Officially, I actually resumed training again on the 30 May. An auspicious day because this gave me exactly 88 days until I would be standing on the start line of the Coast 2 Coast event. By then, ‘Eight’ had also become a particularly special number for me as I’d learnt that “4” when said in Chinese means to die and whilst the 444 kilometres run would be tough some believed it would mean death 3 times over. So, in those dull moments of immobility, I conspired the notion to cycle back from Pantai Bukit Buruk on the East Coast so that the total distance we’d cover would be 888 kilometres instead thus Project Triple8 was born. As we all know, coming back from any serious injury is no ‘picnic’ and it’s important, where possible, to take small steps rather than giant leaps. Well some things aren’t possible and given my preference for being in the ‘deep end’ and with only 88 days to go I decided that my first training run would be to do a marathon! "Don't run away from challenges, run over them"
In fairness to me and this crazy idea, I chose a relatively flat course from my home to Kampar. 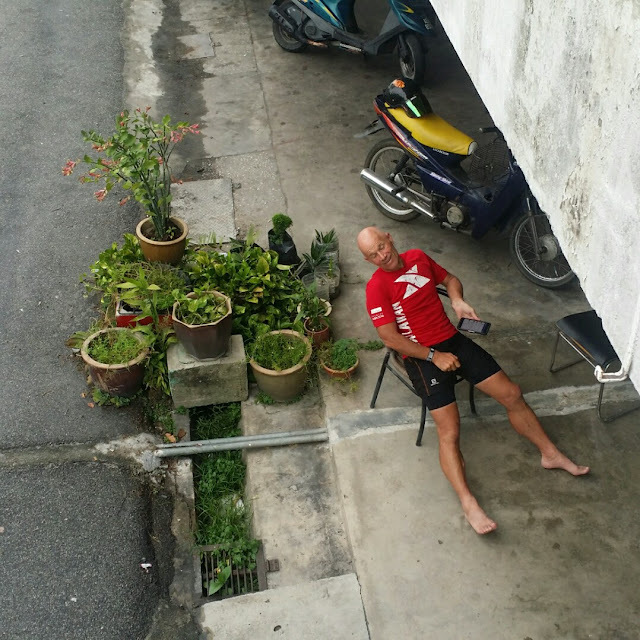 However, predictably, I crashed & burned after a mere 33 kilometres and was reduced to a crumpled mess on the hard shoulder of the road with feet that felt like they had been the victim of a serious beating from a baseball bat. Over dinner that night I hesitantly muted the fact that maybe the Coast 2 Coast idea wasn’t such a good one as the tarmac and I were not an ideal teammates. Thankfully, with the help of Elsa that self doubt was quickly discounted and I was quietly reassured of what I knew was the case which was that persistence and perseverance pays and with a more conservative mindset in terms of distances was back out on the road the next day. How am I feeling at the end of the run? In the remaining 87 days of preparation I nibbled away and built up to doing some big runs including 1 or 2 100+ km days. The most important thing I did I think was to build into these runs multiple back to back long runs. These were not massive distances but by the end I was doing 2 half marathons a day for several consecutive days to the extent that a 21km run started to feel like my “warm up”. In this time, I did a total of 77 runs covering 1,717 kilometres and 25,233 metres of elevation gain. On average I spent 11 hours a week running and covered an average distance of 82 kilometres per week. I couldn’t stay off of the bike but, by comparison, the focus on my weakness of long road runs, I averaged only 1 ride a week over the 88 days training block and a meager average of 93km per week. • Having been fortunate enough to have run on ridge lines above the clouds, in testing a variety of running shoes I finally got to experience what it’s like to be “Running On Clouds”. I achieved this thanks to recommendations of friends (Jacqui & Jim) to use On Shoes whose level of comfort was noticeably different to other major brands from the outset as this was the only running shoe I’d ever worn that did not need to be broken in before you could run long on it. 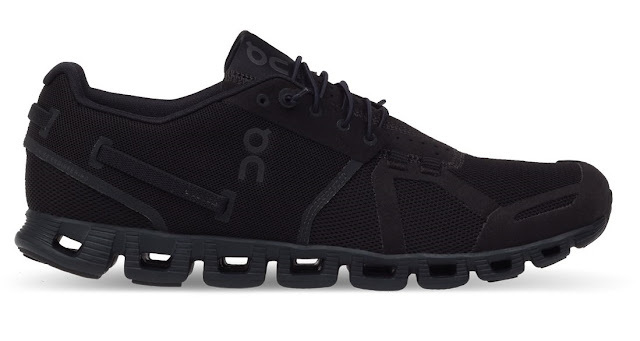 This was an immediate positive for me and I learnt that my preferred shoe for the road running involved in this challenge was going to be the “All Black” model of the Cloud range by On. • I also learnt how to run on roads both to stay safe and to retain sanity. In this regard, I found out the importance of hand signals (polite but assertive ones ;-) to the other road users when running to ensure that you are seen by them rather than just relying on high visibility attire. I have also realised the importance of having ‘a bit on the side’. Now, where I come from this phrase has a very negative connotation as it is used to describe what some men feel the need to do in terms of having a “girlfriend” outside of their current and permanent partner. For me though this term perfectly describes the need to find the rough areas on the sides of the roads where I could at least feel like I was running in the trails rather than remaining permanently on the boring bitumen. • This was just one of the many discoveries I made about the importance of our minds on a long run. I have always described running as a form of meditation for me and so a critical ingredient of my preparation was too fine tune this. In the end I perfected the art of distracting attention from the rigours of running not by playing tricks with it but by simply creating a genuine sense of mindfulness and focus on the beauty of the moment and of being present when I was running. 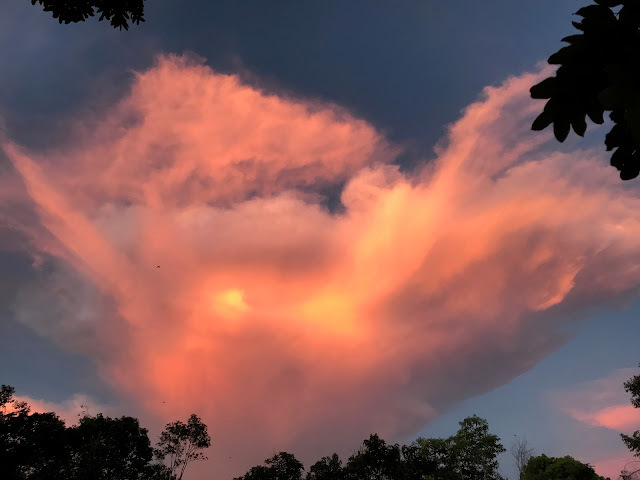 This increased focus on being mindful gave me a deeper and more insightful perspective of what was going on inside of me and how I was using my body as well. • When it comes to hard work, variety rather than repetition has always been the ‘spice’ of my life and I made sure that I retained the right degree of this, so that things stayed fresh and interesting. I did this with making frequent visits off-road with Elsa and the dogs and I built a lot of my road run routes around me running to or back home from the trails where I’d meet up with Elsa and the dogs to give myself a reward for the mileage clocked up on the road. • I also stopped beating myself up if I missed or cut short a training session when I had planned to achieve a specific distance. This happened several times where I had thrown the towel in, just as I’d done with that first road run, and whilst I cope with failure well and genuinely see it as part of the journey towards self improvement. It took the wisdom and refreshingly direct feedback from 2 good friends (Ian in the UK, a fellow Triathlete and aspiring Triathlon Coach and Duncan who teaches Humanities at the Marlborough College Campus in Johor, Malaysia) to remind me of the importance of having a 'live to fight another day' mindset rather than a ‘failed’ mindset. As the energy associated with each are very different. This definitely helped me become much more mindful about positivity and avoiding any negativity when there were setbacks. As a result, I never once doubted that I’d not done the right thing registering for Coast 2 Coast after that first day of training and can genuinely say that ‘failure’ is my ‘friend’ now rather than something that irritates me. 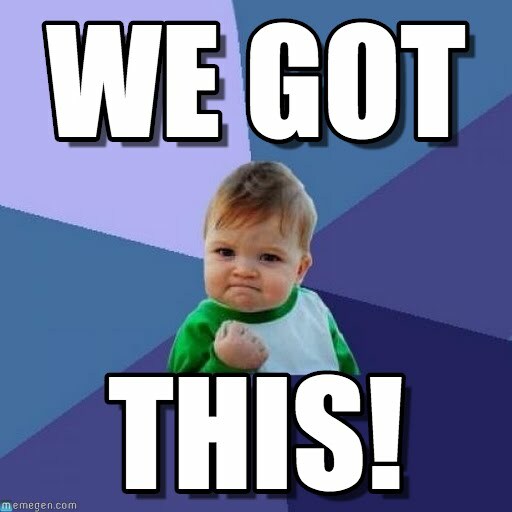 individually and collectively so that we were one cohesive unit firing on all cylinders. Although, I felt confident that we had prepared well in this context, I also knew that we had definitely not adopted a “leave no stone unturned” approach. In fact, we had consciously chosen not to do everything we could do. As, it was our view that if we simulated the actual challenge we would remove one of the most essential elements of the challenge, namely, the sense of the unknown. And, without this, the journey and adventure we were anticipating would become less engaging and exciting as without a sense of the unknown the challenge stops being a challenge. Coast 2 Coast, I'm coming!